National Heritage Week will be returning next month, with some 1,800 cultural events of all sizes planned across Ireland from 20–28 August. Among them is a good number of genealogy lectures and workshops, most of them aimed at beginners, and one-to-one sessions with genealogists which invite researchers of all levels. 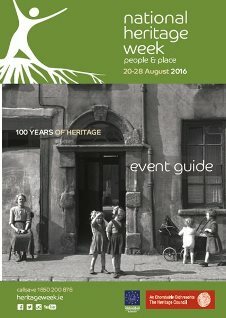 As far as I can see from the Heritage Week website, all are free. (Go to What's On and select Genealogy from the Category menu.) The site can be searched by category and by region. Hard copies of the What's On guide will be available from the end of this month at Failte Ireland Tourist Offices; libraries; OPW sites; heritage centres & historical societies; county council heritage offices; museums; Bus Eireann stations; and some hotels.